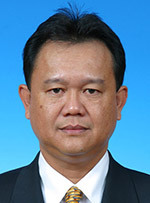 KANOWIT: The 84.6km Kanowit-Kapit Road costing RM757 million is expected to be completed by the end of 2019, revealed Deputy Minister of Rural and Regional Development Datuk Alexander Nanta Linggi. According to him, the project was implemented in sections and most of them have been completed except for the remaining two sections, which consisted of the 9.6 km-long Jalan Nanga Ngemah/Nanga Temalat and 5.2 km of the Nanga Ngungun Bypass. “The overall progress of those sections that are already under construction is well on schedule. In fact, some phases are fully completed,” Nanta told the Borneo Post Adventure Team (BAT) 7 here yesterday. He added that the contracts of the two remaining sections could be tendered out by September this year and project works could be completed in two years’ time. “Thus, if these two remaining sections could be constructed in two years, the whole stretch of the Kanowit-Kapit Road could be fully completed by end of 2019,” Nanta emphasised. Nanta, who is Kapit MP, advised motorists using the road to take extra precautions as some parts of the road were still under various upgrading works. “I would like to advise motorists to take extra precautions while using the road as some stretches are still being upgraded, such as with road shoulders and metal railings for safety purposes,” he said. Currently, the road from Kanowit has reached Nanga Ngungun which is about 30km from here. From there, the remaining 5.2km of the Nanga Ngungun Bypass would connect it with Song. From the Kapit side, the remaining 9.6km Jalan Nanga Ngemah/Nanga Temalat would connect it with Song via Katibas Bridge. In all, there are 15 bridges included in the whole project, with three major bridges crossing Sungai Kanowit, Sungai Katibas and Sungai Yong. When completed, the Kanowit-Kapit Road will link Kapit with Song, Ngemah, Kanowit and Sibu. Currently, Kapit and Song are only accessible by river transport such as express boats. Meanwhile, Deputy Chief Minister and Minister of Infrastructure Development and Transportation Tan Sri Datuk Amar Dr James Jemut Masing, who is Balleh assemblyman, said the completion of the road will not only provide accessibility to people in Kapit, Song and Ngemah, but will also open up the vast tract of land for commercial farming. “The road is vital not only for communication but also to open up land for agriculture to uplift their standard of living. “And we need to create job opportunities for the local people. Otherwise they will be seeking greener pastures somewhere else,” Masing said.